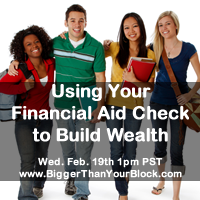 The second free webinar in the series (check out the first one here) is Using Your Financial Aid Check to Build Wealth. In this dynamic webinar you’ll learn how to leverage the money you have to build wealth. We’ll talk about student loans, checking accounts and investing for retirement using compound interest. You’ll learn how to turn $100 from your financial aid into $36k. This webinar is free, but there are only 25 spaces. 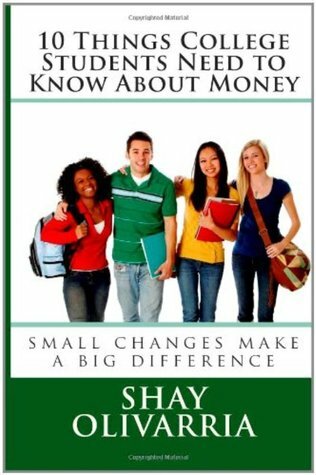 This entry was posted in webinars and tagged bigger than your block, college, financial aid, financial education, free, shay olivarria, webinar. Bookmark the permalink.